KANSAS CITY, Mo. - An elderly couple have both died after being beaten in their Kansas City home during an attack in which three other people were fatally shot. 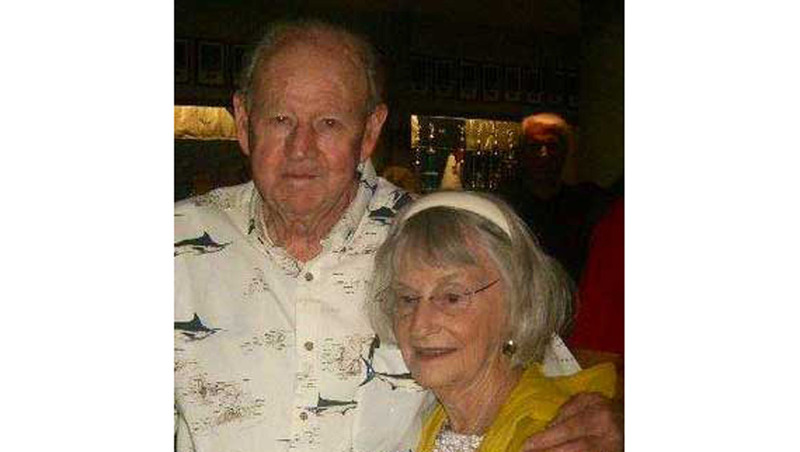 Kansas City police say Ann and George Taylor, both in their 80s, died Tuesday after spending a week in the hospital on life support. Prosecutors allege that 34-year-old Brandon Howell attacked the couple in the basement of their home on Sept. 2, then fatally shot three neighbors before fleeing in the Taylors' SUV. He's charged with several felonies, including three counts of first-degree murder for the shooting deaths of 88-year-old Alice Hurst, her son, 63-year-old Darrel Hurst, and 69-year-old Susan Choucroun. It was Ann Taylor's desperate 911 call that alerted authorities to the crime spree, reports CBS affiliate KCTV. Howell, a convicted felon with a history of violence, was arrested shortly after the killings. Police say they found him walking along Interstate 29 with a loaded shotgun in his pants. "Be assured that at the appropriate time, today's sad news of the Taylors' passing will be reflected in the state's case against the defendant," said Jackson County Prosecutor Jean Peters Baker, according to the station.